Navara Off-Roader AT32 has been named the ‘Best Off Road’ Pick-Up of the Year for 2019. New Navara N-Guard Available July 2019. The Magazine’s annual awards ceremony recognises the very best vehicles available across the SUV, pick-up and off-road sectors. The magazine’s expert judging panel named the Nissan Navara as the winner of the hard-fought category, praising its specialised features that make light work of negotiating the most extreme terrain. They also highlighted the truck’s outstanding driveability, and sheer outright off-road ability. This particular model of the Navara is engineered by Arctic Trucks, the highly respected Icelandic company which specialises in building 4WD vehicles to take on the world’s harshest terrains. AT stands for Arctic Trucks and 32 represents the diameter of each off-road tyre in inches. Using the standard Navara as a base-point, itself already the winner of the 2016 International Pickup Award and 2017 Fleet World Magazine Best Pickup, the Navara OFF-ROADER AT32 enhancements are available on different combinations of the Navara Double Cab. Another variation of the Navara is on the horizon also: the Navara N-Guard. This tough and stylish new model comes in 3 colours: Metallic Black, Storm White or Twilight Grey. As part of it’s more aggressive styling, this model comes with some new, all-black, features including 18” alloy wheels, front grille, roof rails, rear bumper, side steps, LED headlight inlays, fog-light surrounds, wing mirrors, and door handles; as well as black-and-yellow N-Guard side-decals. Interior features include part-leather and cloth seats with yellow stitching, N-Guard carpet mats and a large sunroof. 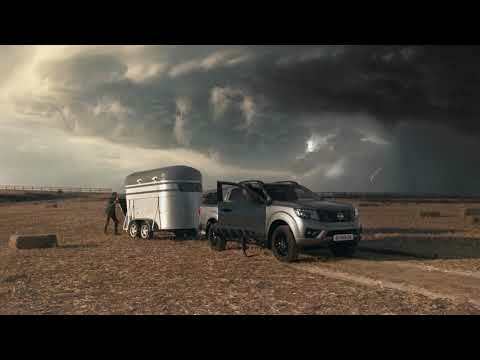 We hope to see the Nissan Navara N-Guard on our roads later in the year. As well as the 2 new Nissan Navara models, there are also some exciting updates coming for the Nissan X-Trail range, and are expected to be available from all Windsor Nissan dealerships in May 2019. The Nissan X-Trail now comes with two different engine options. The first is a 1.3L Petrol engine, producing an impressive 160hp and 270nm. This engine is available with a DCT (dual clutch transmission) which, unlike most automatic transmissions, has virtually zero power loss over the equivalent manual transmission. This engine is available across the SV, SV Premium and SVE Grades of the Nissan X-Trail. The second engine option is the new 1.7L Diesel engine. This new engine produces 150hp and 340nm, features Ad-Blue technology, and is available with a manual or automatic transmission, both of which come with optional 4WD. The new Diesel engine is available on all Grades of X-Trail: XE, SV, SV Premium, and SVE. To learn more about the Nissan Navara Off-Roader AT32, the Nissan Navara N-Guard, or any of the other exciting updates to the Nissan X-Trail range, contact your local Windsor Nissan Dealership in Dublin, Wicklow, Meath or Galway.